Mumbai (Maharashtra) [India], April 15 (ANI): Reacting sharply to a scuffle between Congress workers and BJP sympathisers earlier today, actor-turned-politician Urmila Matondkar claimed that there is a threat to her life and she requires protection from the police. 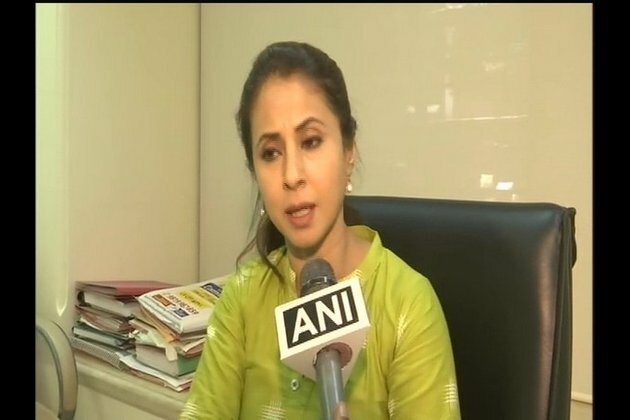 Speaking to ANI after the scuffle that took place during her roadshow at Boriwali, Matondkar said, "It is being done to create fear. It is just beginning, it will take a violent turn. I have asked for police protection. There's a threat to my life, I have filed a complaint. "Talking about the scuffle that happened earlier in the day, Matondkar said, "We were peacefully addressing people and from nowhere 15-20 people came and started raising slogans in favour of Prime Minister Narendra Modi. Initially, I didn't react to it and thought these kinds of things keep happening. But they all started making vulgar actions and started dancing. They were trying to intimidate women at the back. They were moving forward towards the direction where my vehicle was standing. Because of this, our people had to intervene and asked them to stop doing this. A clash then broke out between them and they even hit some women. "She also said that she has filed a police complaint on today's incident.